Our surrogate agency helps individuals and couples all over the world to start a family through surrogacy. Our professional and experienced team is ready to guide and assist you through your journey, from inception to delivery. Together we ensure you have the best surrogacy journey possible. Help couples and individuals fulfill their dream of having a family. Give the most remarkable and generous gift of all. Our surrogacy program is a leading choice for intended parents looking to match with a surrogate. We have assisted hundreds of parents through their surrogacy journey. Our goal is to match you with the perfect surrogate, manage the process and provide the best level of service and support. Our surrogacy agency is based in San Diego, California and ideally located for coordinating the surrogacy process for both domestic and international intended parents. In California you will benefit from favorable surrogacy laws as the intended parents’ name(s) will be listed on the pre-birth judgment regardless of your place of residency, gender or marital status. Family Tree Surrogacy Center is dedicated to guide you every step of the way in your journey to becoming a surrogate mother. From the initial consultation until after delivery our team will be with you to provide full support and to make your journey a positive and rewarding experience. Many of our staff members have been surrogates themselves and fully understand what it takes to become a gestational carrier and making someone’s dream of creating a family a reality. We build strong relationships with all our surrogates and partner with industry professionals, to ensure you receive the emotional and psychological support throughout. We believe egg donors are incredible women. Their generosity allows many people to fulfill their ultimate dream of having a family. Through our egg donor program you are able to give hope to another family and help give others the gift of a child. Becoming an egg donor is one of the most rewarding and noble choices you can make and at Family Tree Surrogacy Center our goal is to ensure we make it a pleasant and fulfilling experience. If you’re considering egg donation we are here to help and make sure you have all the resources and support you need to make this important decision. Bringing a new person into the world is one of the biggest and most important decisions you’ll ever make. If you’ve chosen to use a surrogate to assist in the process, you know how crucial it is to find an agency you can trust. Family Tree Surrogacy Center is a premier surrogacy agency in California. Above all, we are dedicated and passionate about changing lives for the better. We value integrity, and we’ll be with you during every step of this journey. We know you have a lot of choices when you’re exploring options for California surrogacy agencies. In fact, advances in communications technology mean you’re not limited by location in your search. In addition to in-person consultations, we work with prospective parents all across the globe, communicating via phone, email, Skype, and WeChat. Our team has been helping families for over 18 years. Because of this, we are experts at matching surrogates and donors. We know exactly what to look for and how to match donors and surrogates with intended parents to ensure success and exceed your expectations. You’ll often hear the surrogacy process referred to as a “journey.” It’s a long trip, and the final destination is the honor of being a new parent. Our advanced screening process guarantees that everyone involved in this journey is as committed and prepared for success as you are. Our depth of experience means that we’ve been able to partner with the best network of top-tier professionals, including psychologists, fertility doctors, and legal representatives. You are protected and secure from day one when you decide to work with us. 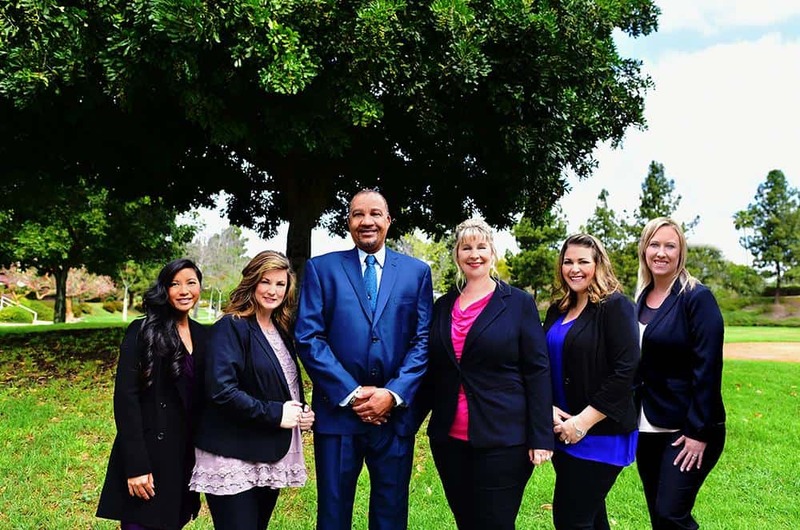 You can consider us a full-service agency, and we’ll take care of everything from case management to connecting you with an attorney. However, we also know that some prospective parents prefer to be more hands-on and directly involved. We’ll work with you to find the right balance. Communication is our specialty, and our staff is multilingual, with fluencies in English, Spanish, and Chinese (both Mandarin and Cantonese). Family Tree Surrogacy Center, LLC is located in San Diego, a city in San Diego County, California. San Diego is the eighth-largest city in the United States and is also known as the “the birthplace of California”. The proximity to San Diego International Airport make our surrogate agency perfectly located and connected for both national and international future parents. The best surrogacy agencies have a long list of satisfied parents, surrogates, and donors. One of our core values is that everyone should have the chance to become a parent. We have a strong reputation for welcoming all members of the community, including partnered couples, individuals as well as members of the LGBT community.